Built in 1912-13 and designed in the Neoclassical style by Pittsburgh architect Edward Lee, this building was originally the Liberty Theatre, and then the Academy Theatre, until 1923 (except for 1918 when it was called the Follies Theatre). 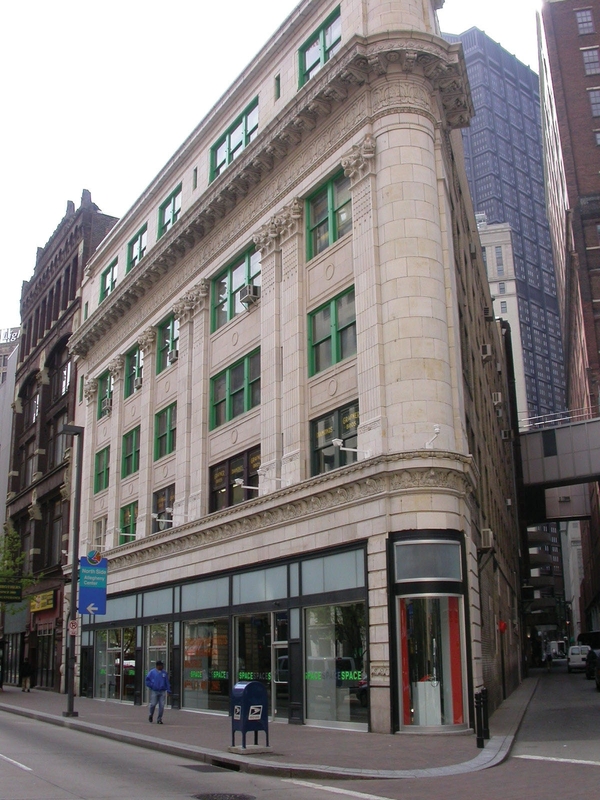 After its life as a theater, it became office and retail space named the “Loft Building”, where the Grafner Brothers jewelry store was until 2008. A vital component of The Pittsburgh Cultural Trust’s Visual Arts programming, SPACE presents five to six exhibitions annually, offering emerging artists an opportunity to advance projects in a supportive setting. While SPACE does not actively commission new works, many artists that exhibit work at SPACE are provided with resources — labor, technology and guidance, as well as funding to execute their ideas.